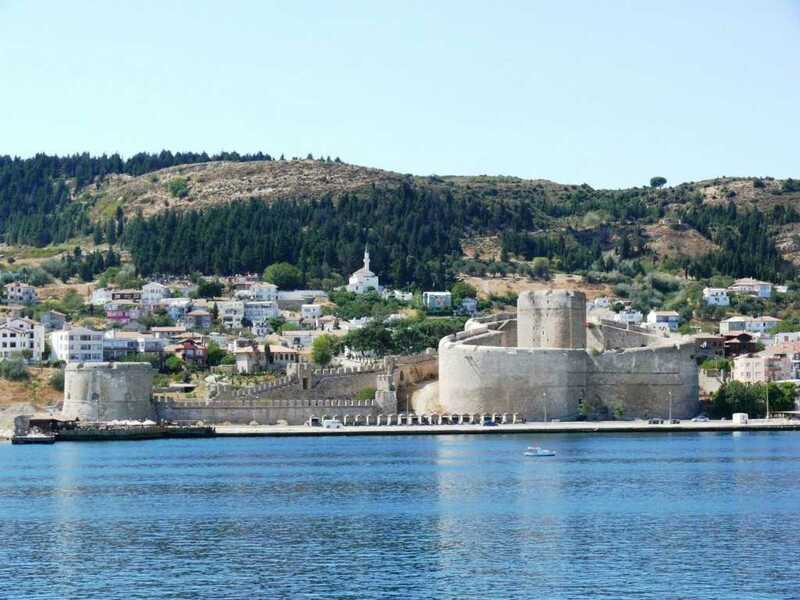 Canakkale is one of the unigue city of Turkey both archeological and ethnographical great past situated in the northwest of the country and a gateway between Europe and Asia which was founded on two continents. Dardanel, one of the main water straits of Turkey seperating into two with Bosphorus, is the trademark of this city. 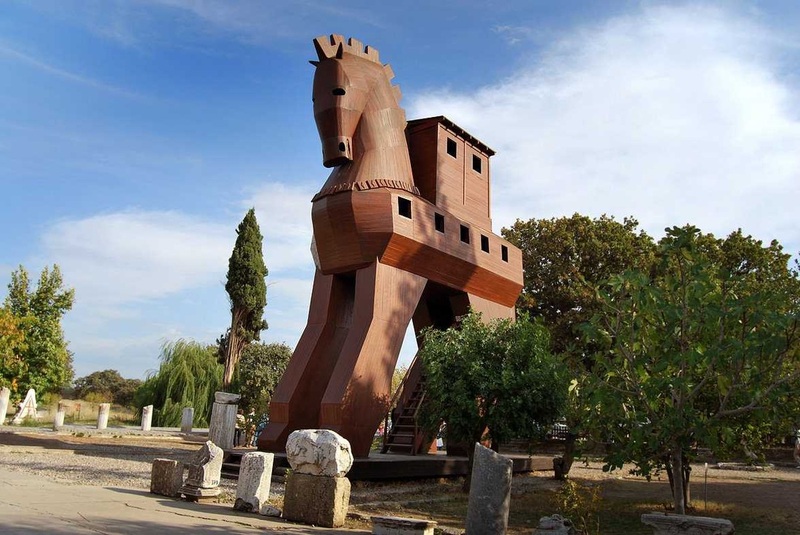 Çanakkale is also known as the home Trojan wars, land of Gallipoli and matrys of World War I where thousands of young Turks and Anzac troops lost their lives during the battefields. Today millions of visitors, both foreigners and Turks , come to see memorial monuments, tombs, graves and cemeterises to respect their forefathers’ memories. Looking for cost-effective solutions to visit Canakkale? 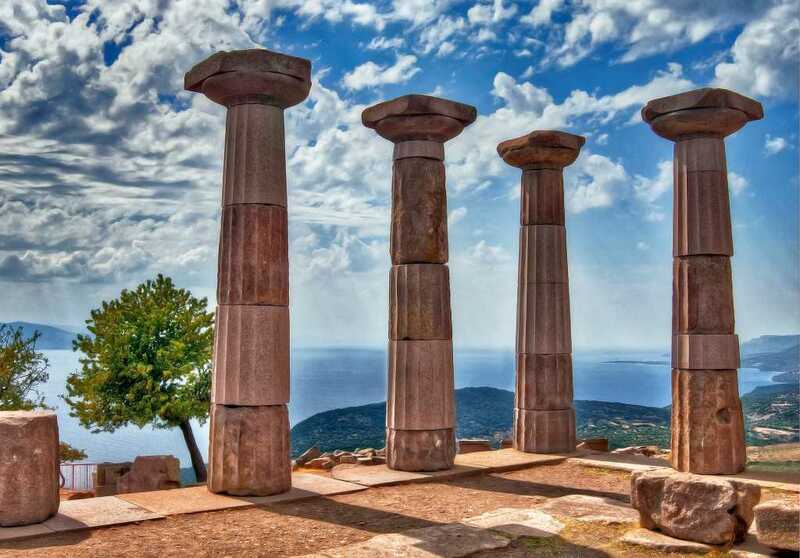 At Tour Maker Turkey, we offer the best priced Canakkale tour packages for you and your family. After picking you from the airport, seaport or a hotel, our travel guide will take you Canakkale’s renowned locations, such as Gallipoli National Park and Mirror Mall. The city is surrounded by Balikesir in the east, Aegean Sea in the West, Tekirdag and Sea of Marmara in the North. Çanakklae has the second longest coastline city of Turkey which covers more than 650 kms. Due to its location between Bursa and Izmir, the city has an important transit center towards to Aegan Region which is highly agricultural and industrial part of the country. 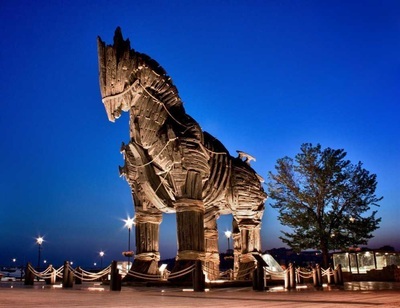 Hellespont, Dardanel, Troy, Truva , these Greek mythological names tell us the city has been hosted so many civilizations with legends from the beginning and so far. According the written sources and archeological digs, history goes back to 4000 BC. The city first established in the location of Kumkale (Sand castle area) around 4000 BC and Troy was about 3200 BC. Between the 2nd and 1st Century BC is the peak period of Troy and the city has nine layers of Troy today. In the 7th C BC Lydians, later Persians took over the city. Alexander the great in 334 BC captured the city then it became the under control of Pergamene Kingdom. 1st C AD Roman era begun and the city was taken over by Arabic forces in the 6th AD. 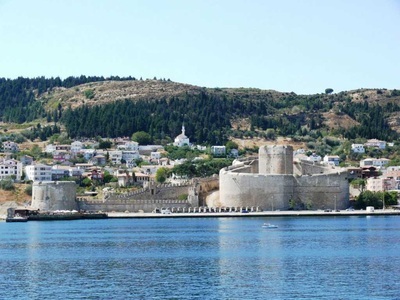 The city was ruled by the Selçuk Turks between 11th and 14th centuries. In 1367 the city fell into Ottoman hands and has been one the most important trade centers for a long time. In 1915, just after the beginning of the World War I, Alliens (British and French army troops ),their aims was to capture İstanbul and to end of the Ottoman Empire, attacked to the city known as Gallipoli battefield all over the World. The fight between the Alliens and Ottomans ended up in 1918 and about half a million soldiers died in both sides during the battefields. Atatürk, who is the founder of modern Turkey, was the commander of the Ottoman troops as army general.Only 255.000 Turkish soldiers have been lost in three years siege and one person from each house was killed throughout Turkey during the Gallipoli Wars. A Greek and a Roman settlement with ancient seaport between Greek Islands and Troia and was one of the important naval base of its time. The shopping centre known as Mirror Mall, famous in Turkish history. You can find a alot of folk songs in Turkish Folk music about this marketplace. 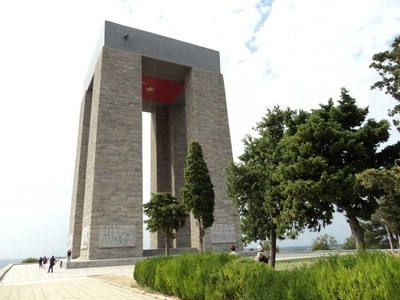 Memorial monuments and historical tombs both Ottoman and Anzac troops.It also has a great War Museum with original weapons, swords, missiles, artillery shells, bullets, meadllions, batteries and so on. Mythological mountains with very rich and endemic flora and fauna . The range of mountains are considered as Turkey’s Botanical Garden by the plant experts. The birthplace of Illyada and Odessa epics, of Homer, who was the great Greek novelist and historian, has a thousand years of past and everbody in the world knows where Troia is because of both Greek mythology taught at schools and famous American movie . 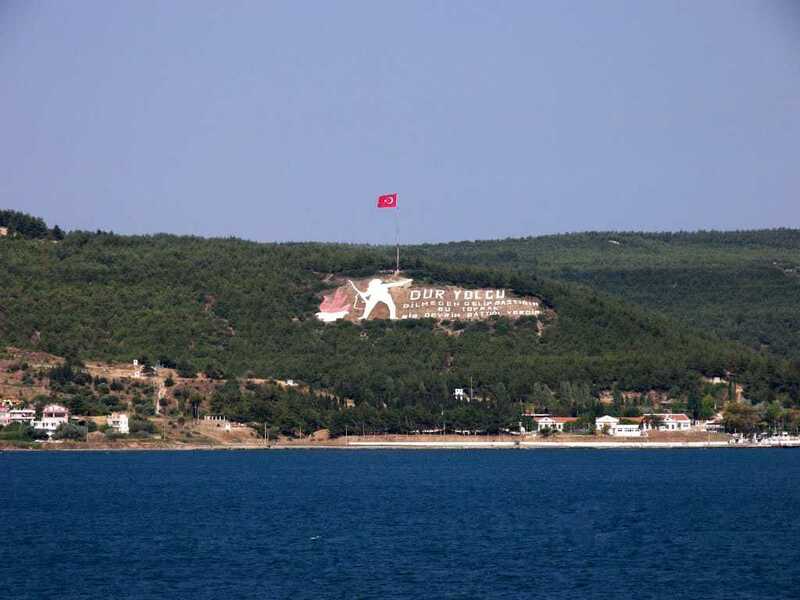 It locates in the sea front which was gifted by Holywood to municipality of Canakkale after the film titled Troia acted Brad Pitt and Orlando Bloom in 2004.